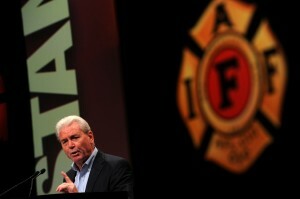 In a rousing, fiery speech delivered to the delegates of the 52nd IAFF Convention, Laborers’ International Union of North America (LIUNA) General President Terry O’Sullivan offered high praise for the IAFF’s members and leadership — and a well-deserved condemnation of United States politicians. 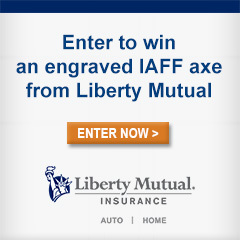 “If I wasn’t a proud member of LIUNA, I’d love to be a proud member of the IAFF,” said O’Sullivan, whose family includes fire fighters. 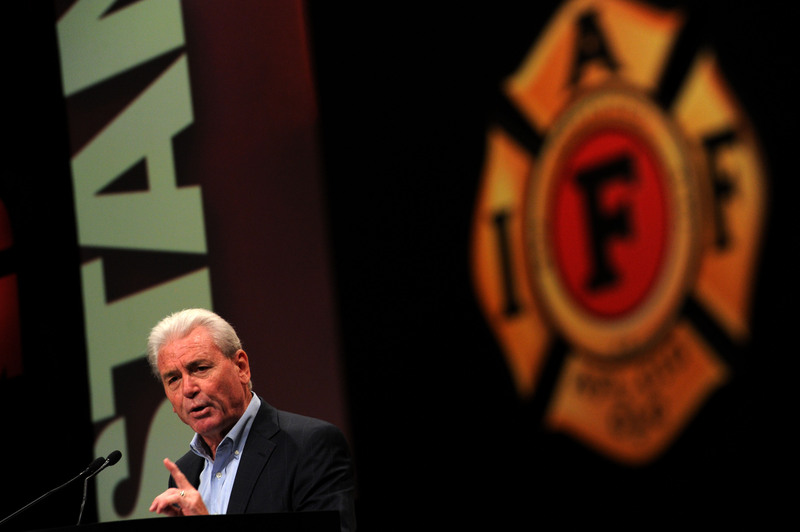 O’Sullivan commented that he felt as though he was not “just among union members, but family” and praised the IAFF principal officers as two of the most “stand-up and visionary leaders” in the labor movement. “These hypocrites time and time again call you ‘heroes’ and then treat you like second-class citizens” he said. And it’s not just one party. It’s both. O’Sullivan decried the Republican party as having been “hijacked by Tea Party maggots” who are “disciples” of radical politicians such as Ted Cruz and Rand Paul and corporatists such as the Koch Brothers and Grover Norquist. “They’re out to destroy the labor movement,” O’Sullivan says. He noted, though, that not all politicians, especially moderate Republicans, can be lumped into the same category and stressed that all union members must have the backs of any candidate who has theirs, regardless of their views on non-labor issues.